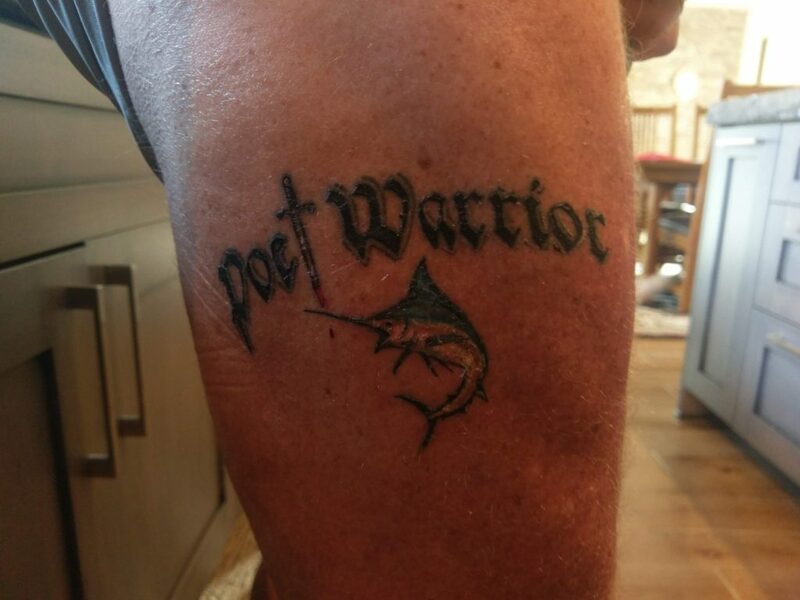 Paul has just returned from Poet Warrior – his first trip since Hurricane Irma. The storm hit on a Wednesday, and while I will never know for sure, I think he was one of the first to get out of the Islands, on Saturday. In the days after the storm, as looting and the realities of scarcity and desperation were setting in, Richard Branson and Larry Page had hired private security out of Puerto Rico to protect the assets that remained on their Islands. A sport fish brought the guys over from Puerto Rico, and Paul … being Paul … talked his way on to that boat and out of the living hell that the North Sound, Virgin Gorda had become in the matter of hours while the eye of Irma, the strongest hurricane ever recorded in the Atlantic basin, unleashed her fury without mercy. I imagine Paul must have spent the last year dreading his return, dreading facing the inevitable, dreading what he would see and what he would have to do. Though he hasn’t want to talk much about it yet, I know how difficult it must have been for him, and I am proud of him. So the morning after he returned after being away for several weeks on this most recent trip, I needed to attend a meeting at our local hospital with the widow sister of a long-time client whose family has become friends. Her husband died over the summer, and she had some questions for the treating physicians. The hospital agreed to the meeting. She and I were in the waiting room of the admin offices waiting for the hospital’s CEO and the treating docs, and I saw a friend who is a nurse at the hospital – and who Paul stayed with in Rincon, Puerto Rico for a few days after he had been to Virgin Gorda and said his goodbyes to Poet Warrior. I gave her a hug and thanked her so much for her kindness to Paul. We chatted a bit, and then she asked me how I liked Paul’s tattoo. Life with Paul… I do love the man.